Dorothy Sourwine Chittum, 93, of Marietta, OH, passed away March 28, 2019 at The Pines of Glenwood. She was born September 11, 1925, in Arnold, Pennsylvania, the daughter of the late Edward D. and Margaret (Austin) Sourwine. In addition to her parents, her husband, R. D. Chittum, and brother, Robert Sourwine, preceded her in death. Dorothy was a graduate of Har-Breck High School in Natrona Heights, PA. During World War II, Dorothy worked in a lab at Alcoa Aluminum in Tarentum, PA, until the soldiers returned. She received her Bachelor’s Degree in Secondary Education from Grove City College in 1947. Dorothy earned her Master’s Degree in Library Science from the University of Pittsburgh in 1967. Dorothy retired as the Director of the Parkersburg & Wood County Public Library, a position she held for 20 years from 1968-1988. 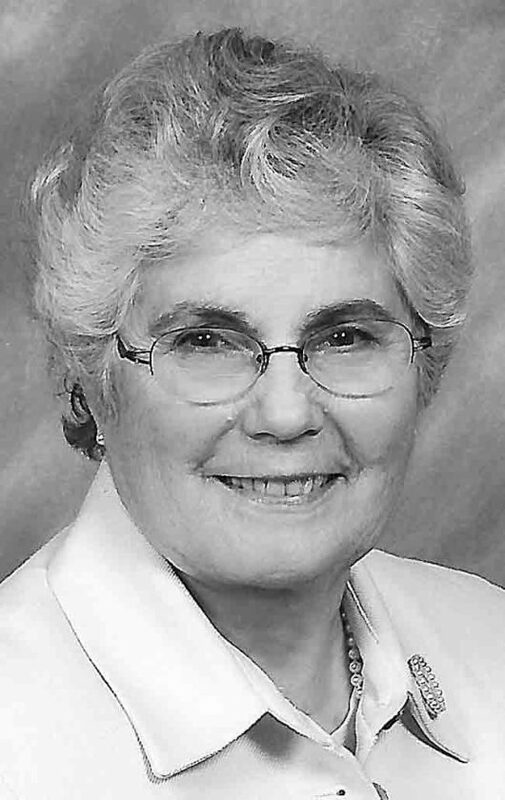 Under her direction, her many accomplishments included building the current library and the satellite libraries in Williamstown and South Side, starting the book mobile program still serving Wood County, and computerizing the library collection. Before her public library career, Dorothy taught English at Tarentum High School in Tarentum, PA, and English and Library at Washington Junior High in New Castle, PA.
A Presbyterian all her life, Dorothy belonged to the First Presbyterian Church in Parkersburg for over 50 years. She served as a deacon and an elder. Throughout her life, Dorothy was a member of many clubs and remained a member of ALTRUSA and the PEO Club, Chapter G until her death. She enjoyed reading, knitting and traveling. Survivors include her children, William (Patricia) Muse, Marsha (Dale) Myers, and Edward (Kelly) Muse; stepsons, Richard Chitttum and David Chittum, grandchildren John Myers, Michael (Angie) Muse, and Katherine (Jason) O’Grady; great-grandchildren Magnolia and Maxwell Muse, J. J., Sydney, and Autumn O’Grady. She was known as Grandma Dorothy to her grandchildren, great-grandchildren, children of her extended family, and students of Criss School where she was a read aloud volunteer for many years. Dorothy donated her body to medicine. A memorial service will be at held on Saturday, May 18, 2019, at 2 p.m., at First Presbyterian Church, Parkersburg, WV. In lieu of flowers, donations can be made to the Parkersburg & Wood County Public Library, 3100 Emerson Avenue, Parkersburg, WV 26104.